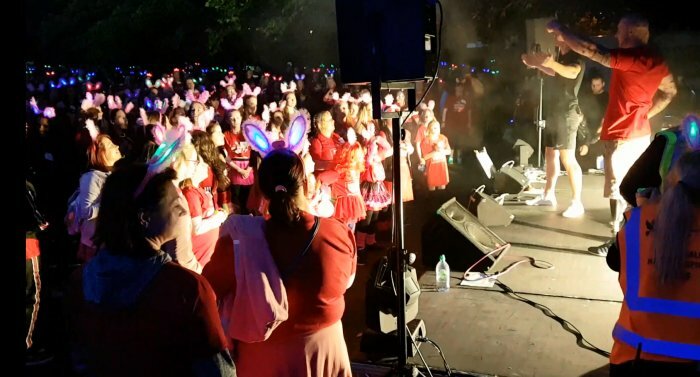 We have to keep being innovative in our fundraising so, with something of a heavy heart, we will be saying a fond farewell to the ‘Midnight Walk’. There will be live entertainment and the fabulous motivational coach 'Dewi Jones' will make sure you're warmed up and ready for the walk ahead. As with previous years, you can choose to complete either a 6km or 10km walk around Wrexham. We understand that it's difficult to ask the same supporters for sponsorship year on year, however, your participation really does make a difference. You will receive a souvenir Midnight Walk tee shirt, and as you cross the finish line you'll be greeted with a cup of tea or coffee and a tasty treat. Let’s make our final walk THE BIGGEST AND BEST EVER! We’d like to take this opportunity to thank everyone who has supported the event. Many of our walkers have taken part in lots, if not all, of the walks since 2007 and we appreciate the hard work and dedication of everyone involved.